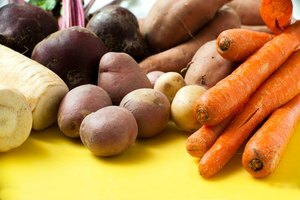 If you can't use fresh vegetables right away, freeze them to preserve them and their nutrients. When you're ready for them, they can be easily thawed, cooked and enjoyed at any time of the year, whether they're in season or not. 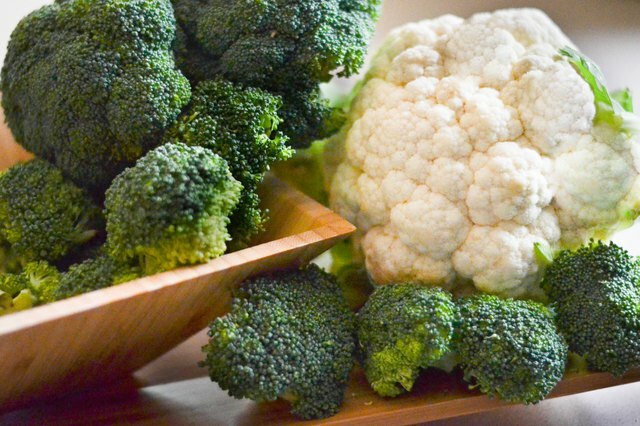 Broccoli and cauliflower are super easy to freeze successfully. 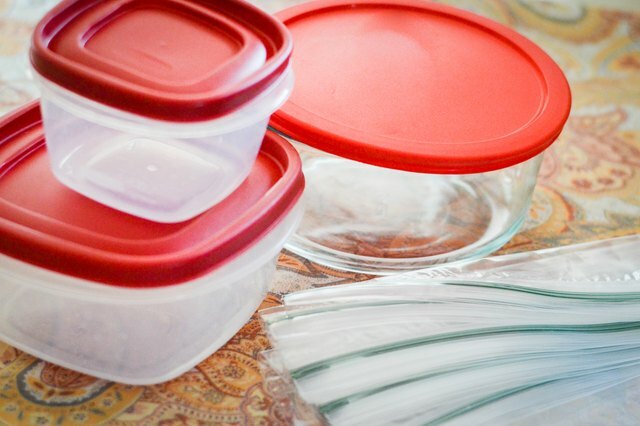 Select proper containers—moisture- and vapor-proof containers made of glass or rigid plastic, or moisture- and vapor-proof bags and waxed containers work well. Prepare fresh broccoli for freezing by taking off the outer leaves and woody sections. 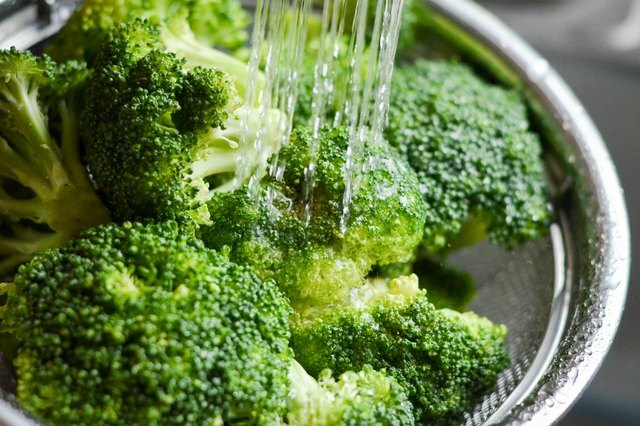 Thoroughly wash the broccoli in cold water. Thoroughly wash the cauliflower as well. Take the outer leaves off and cut the cauliflower into small florets. Blanch the vegetables in boiling water or steam. To blanch in boiling water: Boil at least 1 gallon of water. Place a pound of vegetables in either a metal basket or cheesecloth back and into the boiling water. Place a lid on the pot and boil for 3 minutes. To blanch with steam: Bring just 1 to 2 inches of water to a rolling boil in a pot that can support a steamer basket or cheesecloth bag a few inches above the water. 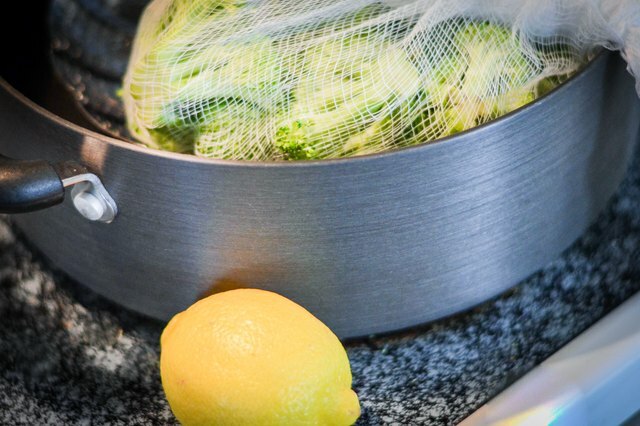 Place the vegetables in a single layer on the cheesecloth bag or steamer basket so the veggies blanch evenly. Cook for 3 minutes. For cauliflower, add the juice of one lemon to the water. Cool the vegetables immediately to halt the cooking process. Place them into cold water (60 degrees Fahrenheit or colder). Use ice water or put the vegetables under a steady stream of cold water. One pound of ice should suffice for each pound of vegetables. Drain the vegetables once they're completely cooled. Pack the vegetables by using dry pack or tray pack techniques. 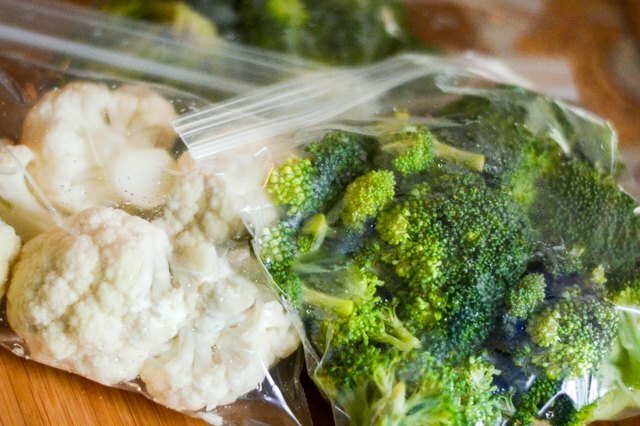 Dry pack: Store blanched vegetables in small freezer bags or freezer-safe containers. Tray pack: Place the blanched vegetables on trays or pans in a single layer and leave the tray in the freezer just until the vegetables are firm. Then add them piece by piece into freezer bags for longer-term freezer storage. 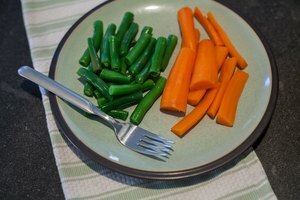 Frozen vegetables are generally safe to eat indefinitely, but they taste better when eaten within 12 to 18 months after freezing. Based in Connecticut, Marji McClure has been a professional writer since 1993. She writes mostly about business and technology topics for niche trade publications, including EContent and Information Today. McClure holds a Bachelor of Arts in communication arts from Marist College.